“Serious” potential drone collisions are on the increase in the UK according to air safety watchdog the Airprox Board, with 23 near misses with aircraft investigated in just six months last year, including 12 that were given the top danger rating. In December, a drone “came very close to colliding with a Boeing 737” passenger plane that was coming out of one of London’s airports. In a move that might send drones the way of hoverboards in the US, pilots are calling for all drones to be fitted with technology that prevents them from flying in areas where they could hit a plane. As has already happened in the United States, the pilots’ union is also calling for a compulsory drone register so people who behave irresponsibly can be found and prosecuted. Compared to bird strikes, there is little research on what the effect of a crash between a drone and a plane would be, so the British Airline Pilots Association wants more to be done before a “catastrophic” incident takes places. A representative from BALPA said that as “birds don’t have a big lump of lithium battery in them,” the existing data cannot help predict the consequences of a drone crashing into a plane. 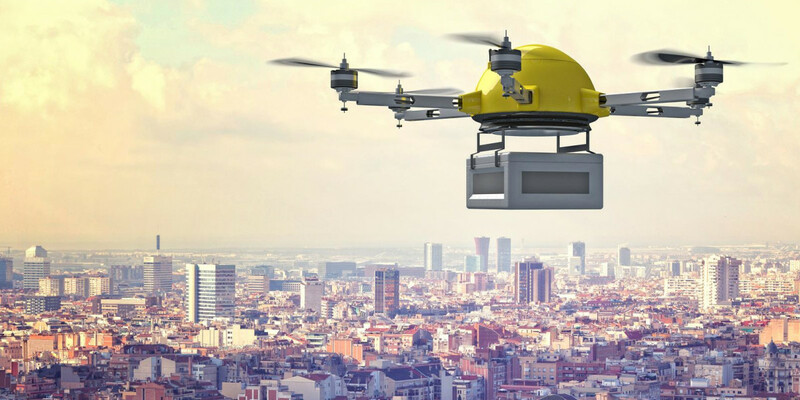 Although there is a ‘dronecode‘ for private users of drones, as well as rules for commercial usage, the UK government is yet to launch a promised new legal framework that takes into account their increased use. The Department for Transport has this written into its five year plan, indicating it could happen anytime by the end of 2020, which means regulation is, yet again, not keeping pace with innovation. And with hundreds, if not thousands, of drones on sale in the UK today, with no real measures in place to prevent a potentially deadly plane crash, it’s no wonder pilots fear for their own and their passengers’ safety.